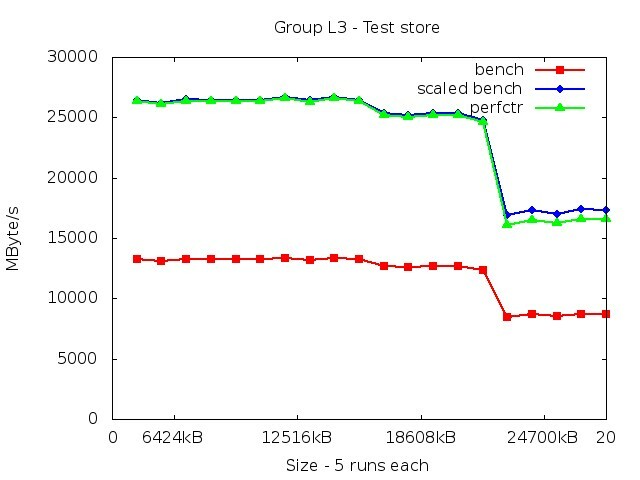 Not all performance groups can be tested for accuracy. We don't have a test application for each performance group. 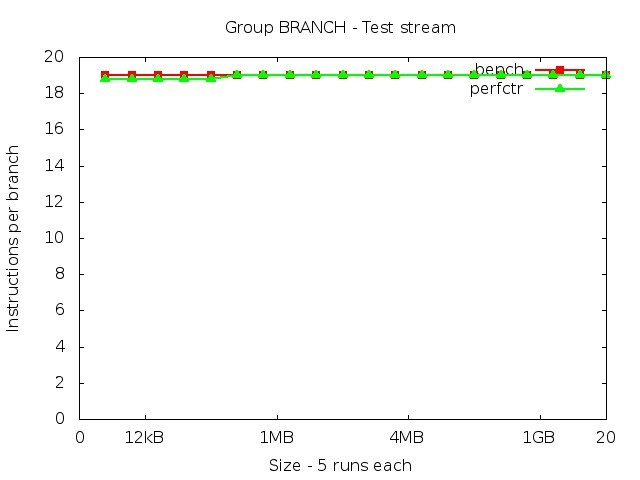 Here only the groups are listed that can be verified. 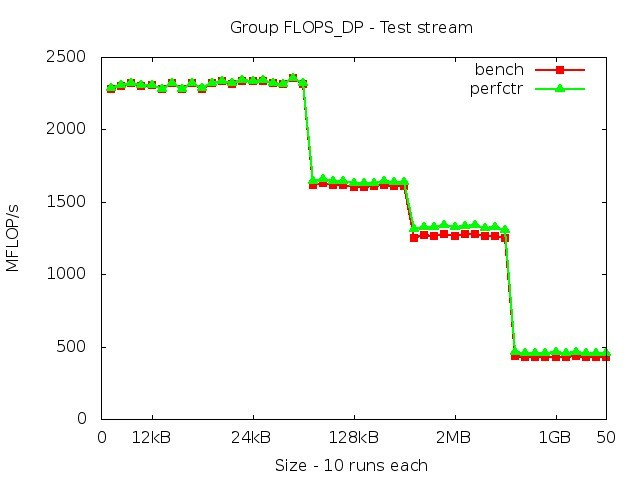 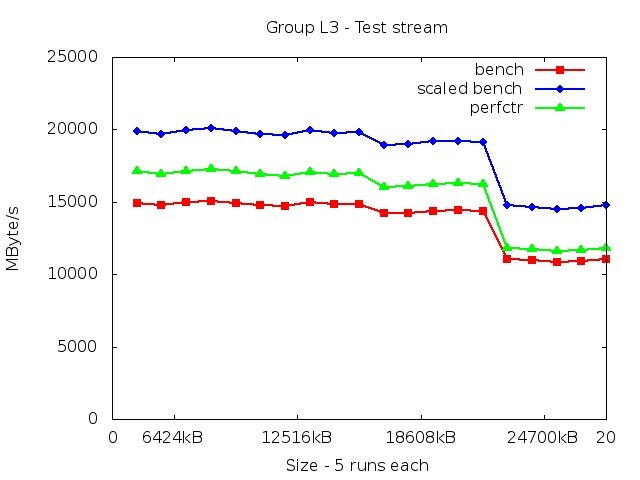 Each group is followed by the low-level benchmarks that are performed for comparison. 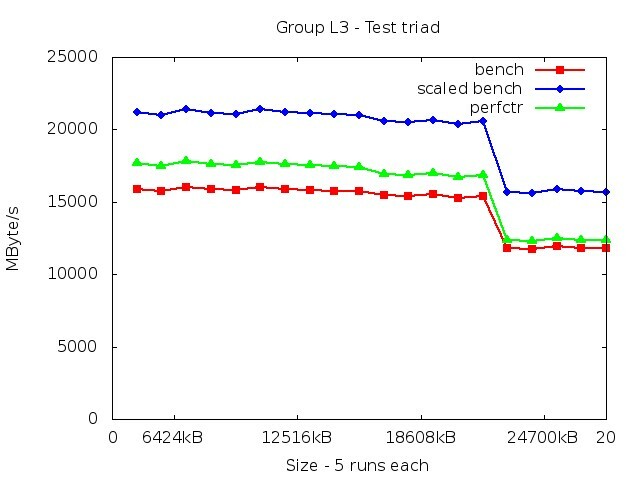 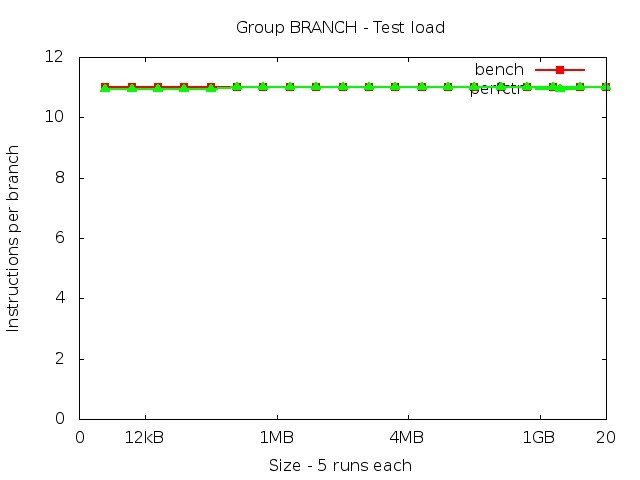 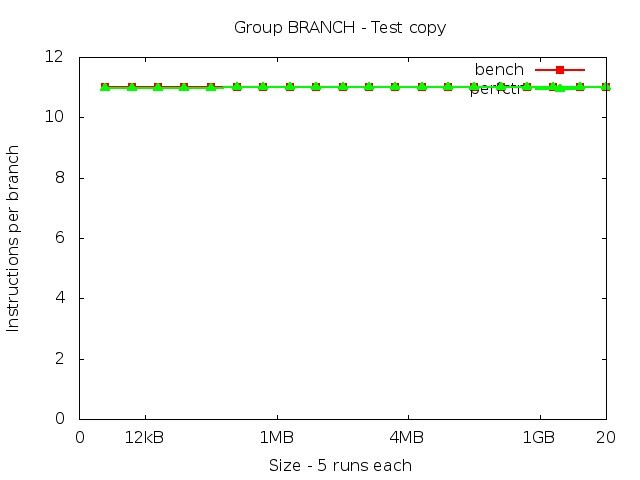 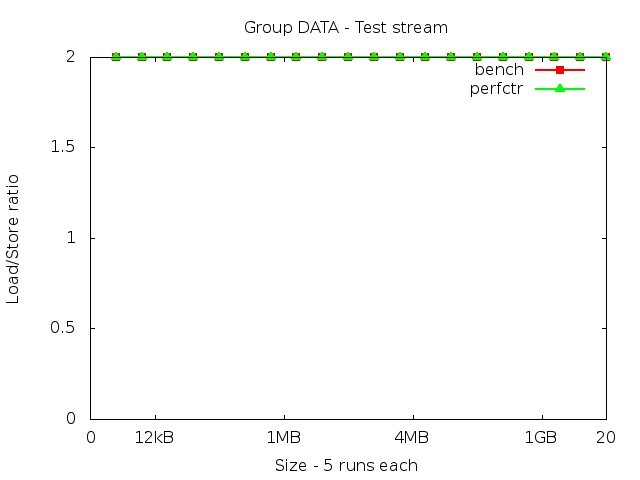 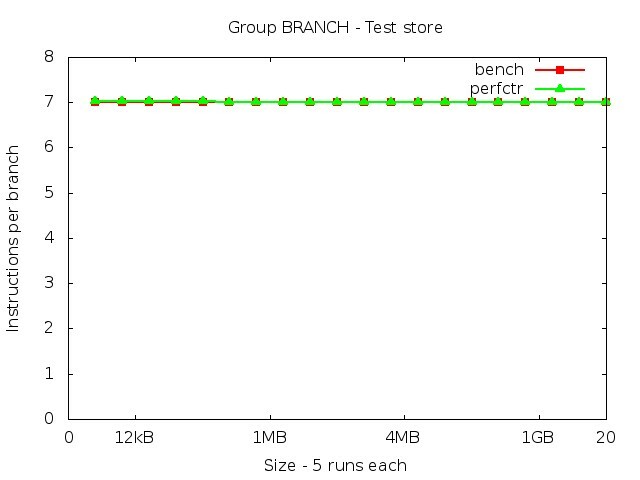 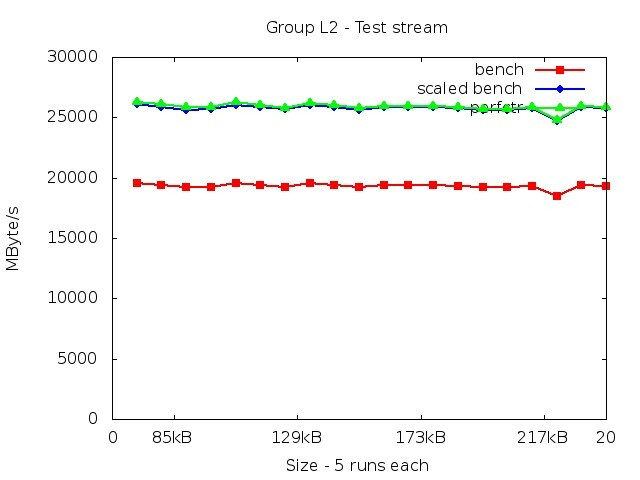 For memory bandwidth accuracy tests, the result of likwid-bench needs to be scaled to represent the real values. 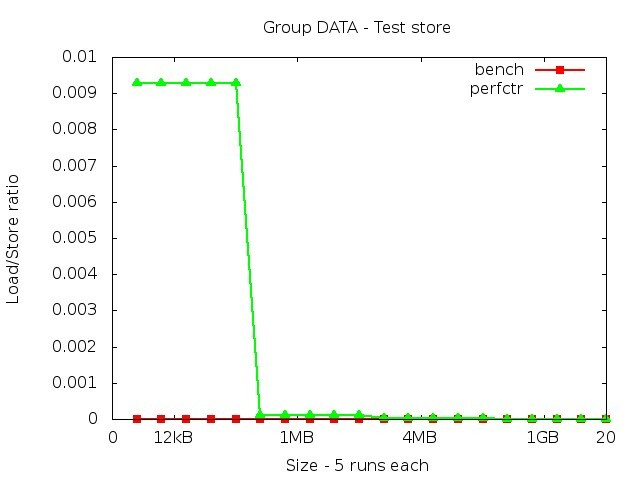 The reason is traffic caused by write-allocates (the store operation on a cache line that is not present at the L1 cache must be loaded first before the store operation can complete). 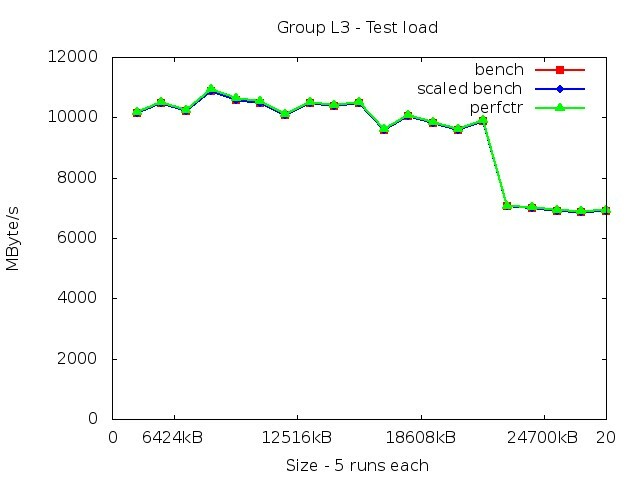 In these cases, the figures contain three curves, the original output of likwid-bench, the scaled version and the derived metrics of likwid-perfctr measurements. 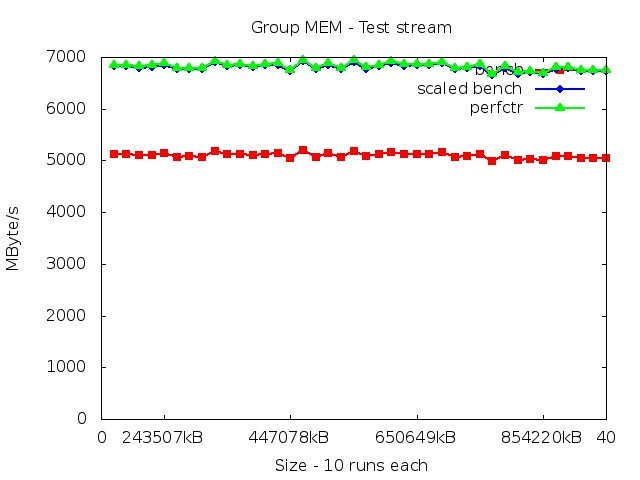 Benchmark performed with data sizes: 12kB, 1MB, 4MB, 1GB. 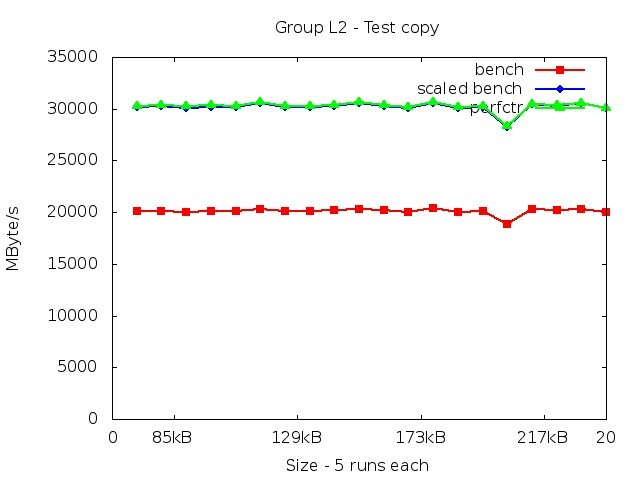 Each data size is tested 5 times, hence the first 5 entries on the x-axis correspond to the 5 runs for the first data size of 12kB and so on. 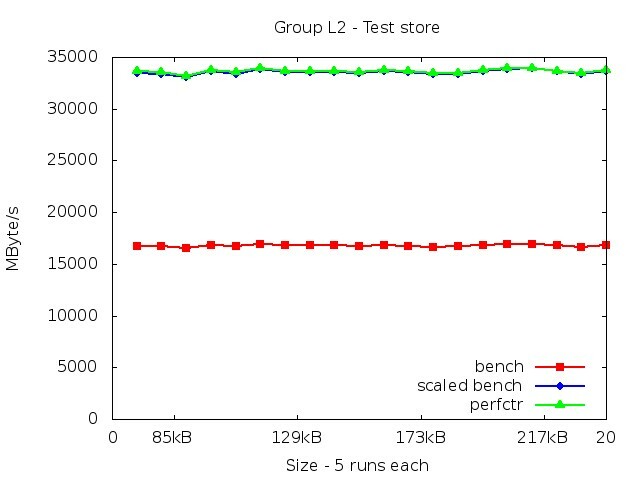 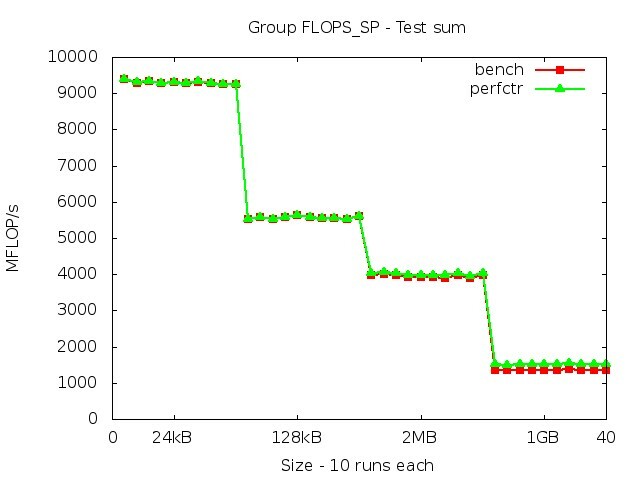 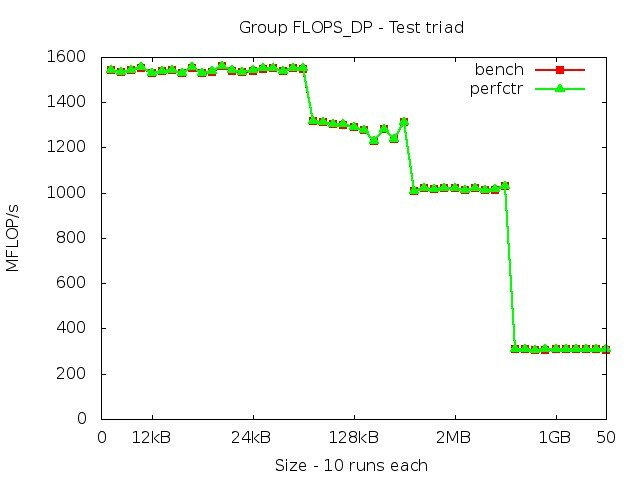 Benchmark performed with data sizes: 12kB, 24kB, 128kB, 2MB, 1GB. 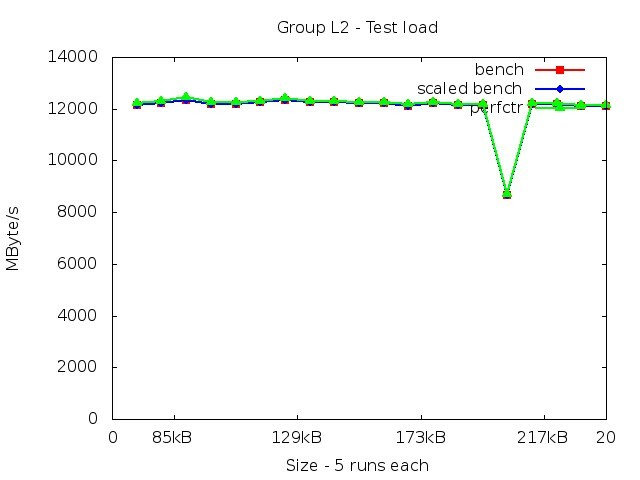 Each data size is tested 10 times, hence the first 10 entries on the x-axis correspond to the 10 runs for the first data size of 12kB and so on. 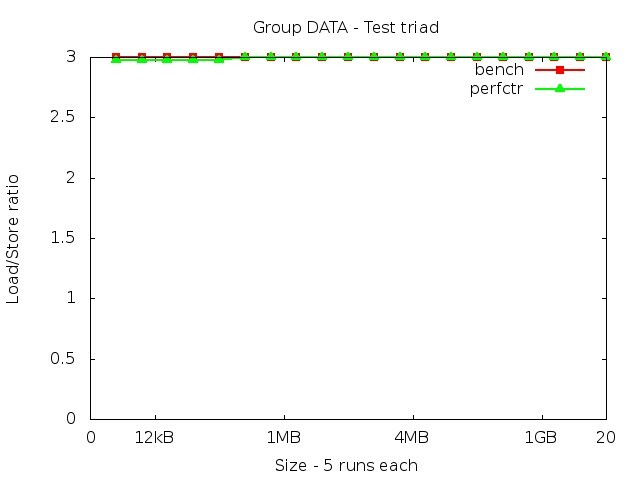 Benchmark performed with data sizes: 24kB, 128kB, 2MB, 1GB. 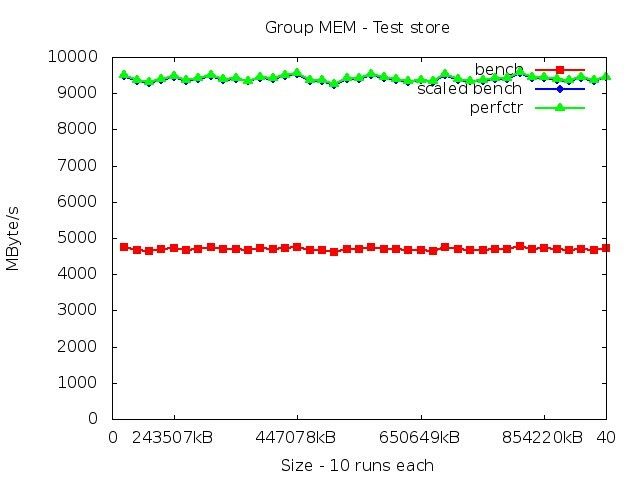 Each data size is tested 10 times, hence the first 10 entries on the x-axis correspond to the 10 runs for the first data size of 24kB and so on. 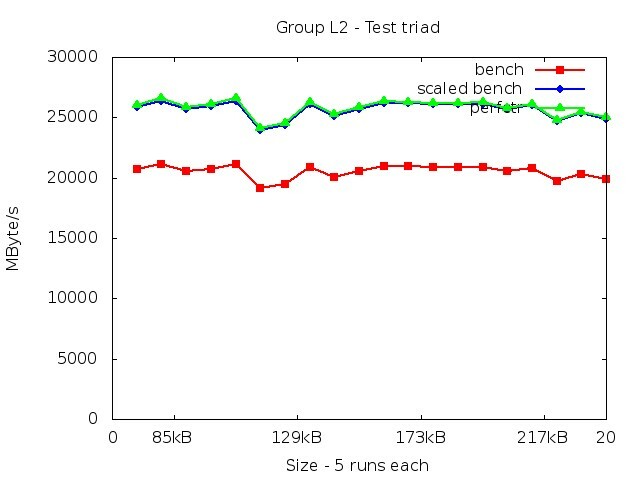 Benchmark performed with data sizes: 85kB, 129kB, 173kB, 217kB. 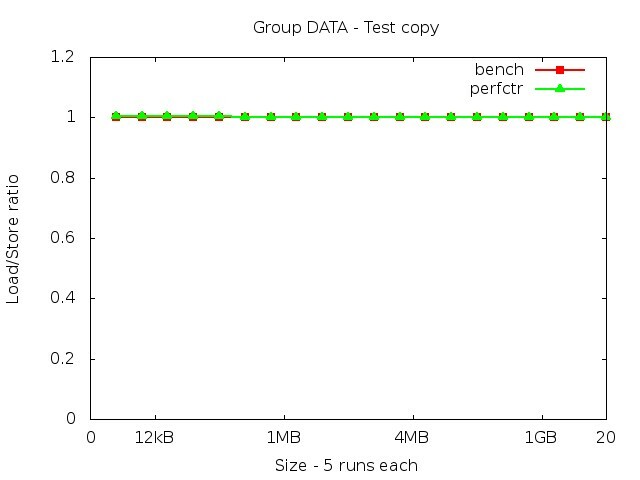 Each data size is tested 5 times, hence the first 5 entries on the x-axis correspond to the 5 runs for the first data size of 85kB and so on. 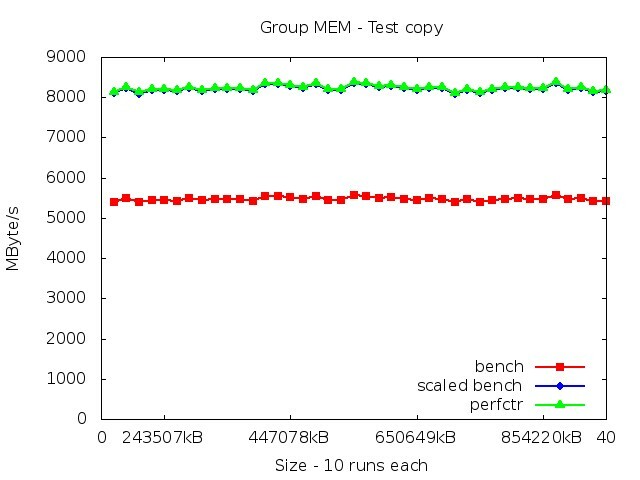 Benchmark performed with data sizes: 6424kB, 12516kB, 18608kB, 24700kB. 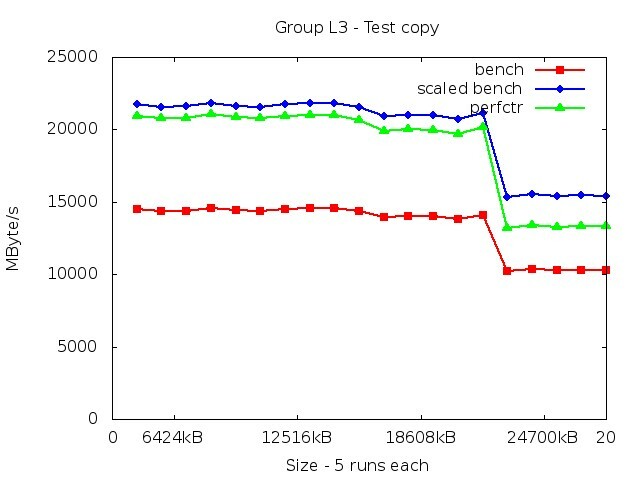 Each data size is tested 5 times, hence the first 5 entries on the x-axis correspond to the 5 runs for the first data size of 6424kB and so on. 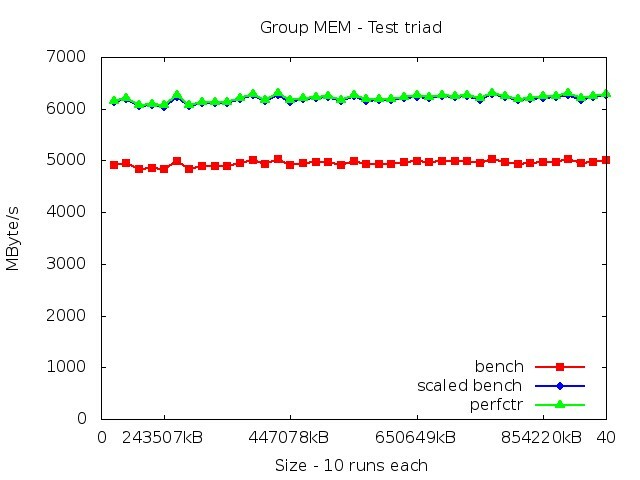 Benchmark performed with data sizes: 243507kB, 447078kB, 650649kB, 854220kB. 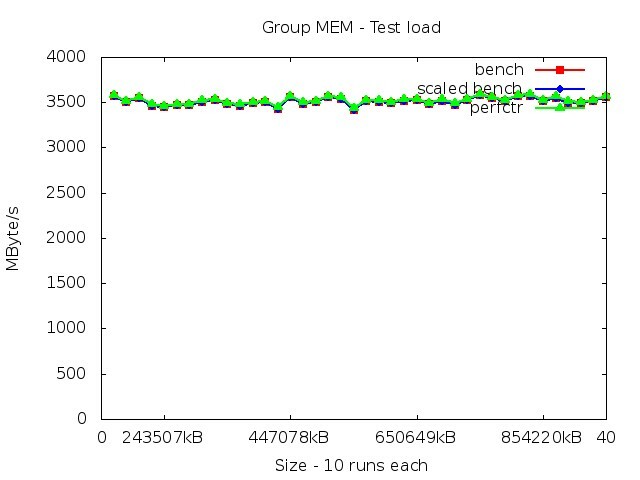 Each data size is tested 10 times, hence the first 10 entries on the x-axis correspond to the 10 runs for the first data size of 243507kB and so on.